Is your upholstery looking a little worn out? It might be time to get them professionally cleaned! If you want to bring life back to your furniture then let us do the work for you. 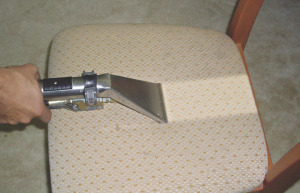 Our upholstery cleaning services are affordable and professional. It’d certainly be annoying to look at your favourite lounge or sofa and realise how dirty they have become over time. Our reliable upholstery cleaners in Canberra can restore your upholstered furniture back to their original state with no hassles. Using the latest techniques and equipment, we will be able to give them a thorough clean, which will ensure safe removal of dirt, dust, bacteria and crumbs. Just like cleaning of your carpets, it is recommended to get your upholstery regularly cleaned as well. Getting them cleaned regularly will make your upholstery look and feel great for a longer time. It will also help get the most use out of them. Our furniture in our homes are the most precious investments, so don’t let them get dirty and look old. If you spilled a drink or accidentally dropped a chocolate on them, you don’t need to worry! Our expert technicians are able to get rid of toughest stains and spills by making use of environmentally friendly cleaning products. Pre-inspection: We will inspect your upholstered furniture in order to identify the type of materials they are made of which in turn will help decide on proper techniques and products to utilise. Pre-spray: Next step is to use a pre-spray which will loosen up all the soils, grime and kill all the bacteria. Sometimes we will need to wait around 5 minutes to make sure the pre-spray has soaked into the fabric before moving onto the next step. Heavily Soiled Spot Treatment: If required, our technicians will recommend our special industrial cleaning method and will carefully go over individual stains/spots one by one and treat them using our special formula. Dry clean: We will use our unique dry cleaning technique to ensure all the dirt and soils have been removed from your upholstery. Dry time: You will need to allow 2 to 6 hours for the upholstery to fully dry and gain its original look again. Don’t wait around contact us today and benefit from our Canberra upholstery cleaning services.